Want to be the Best Player? 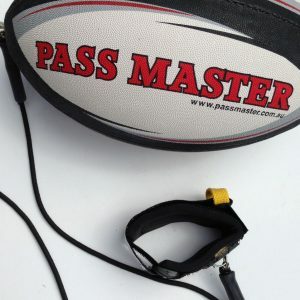 For those young football players starting out their career playing Rugby League, the rugby league training ball on a string, will Help You quickly develop your Hand and Eye co-ordination and will Dramatically Increase your Sensory Co ordination Skills FAST!!! Be Amazed how Quickly YOUR football to increase, kicking and catching, passing left and right, kicking for the line and kicking for goal. We at That Training Ball Australia are committed to providing the Best Quality Rugby League Balls. 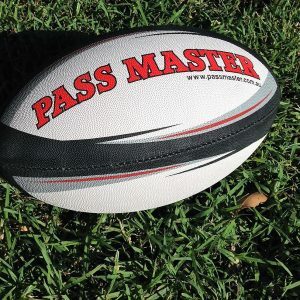 Our Pass Master rugby league training ball is a true Mod size ball. Attached to this ball is a good quality hard wearing bungee cord at one end and a comfortable wrist band at the other. To use this training ball is Quick and Easy… by simply attaching the wrist band to your wrist. If a player Kicks with his Right foot, then he/she places the wrist band on the Right Wrist. If you are a Left footer, then the wrist band is attached to your Left Wrist. 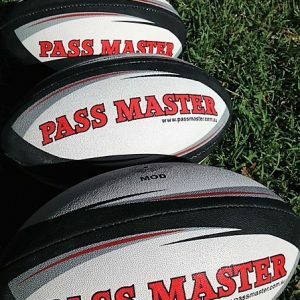 The Pass Master Rugby League Training Ball is a perfect choice for kids and adults alike. Our training balls are used by footballer players worldwide. This rugby league ball is perfect for schools, junior clubs for training and for kicking around the backyard. That Training ball Australia is proud to supply rugby league balls which cater for players of all standards.